What is distaff!? 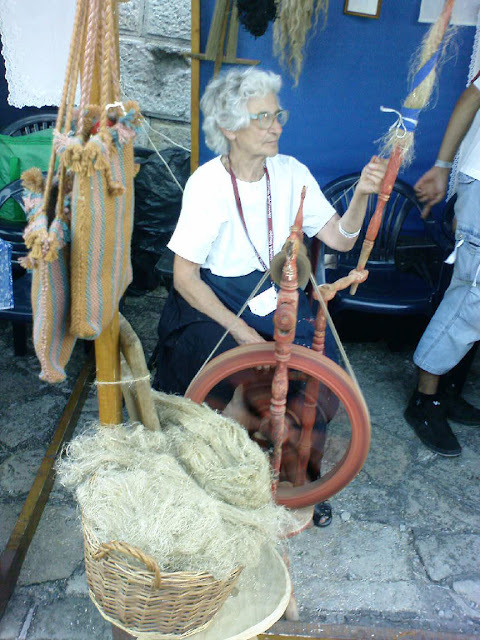 Distaff is a shaped staff used as a tool in spinning. In hand-spinning process it is a part which holds raw material like wool from which person who do the job, usually women, draws the threads. 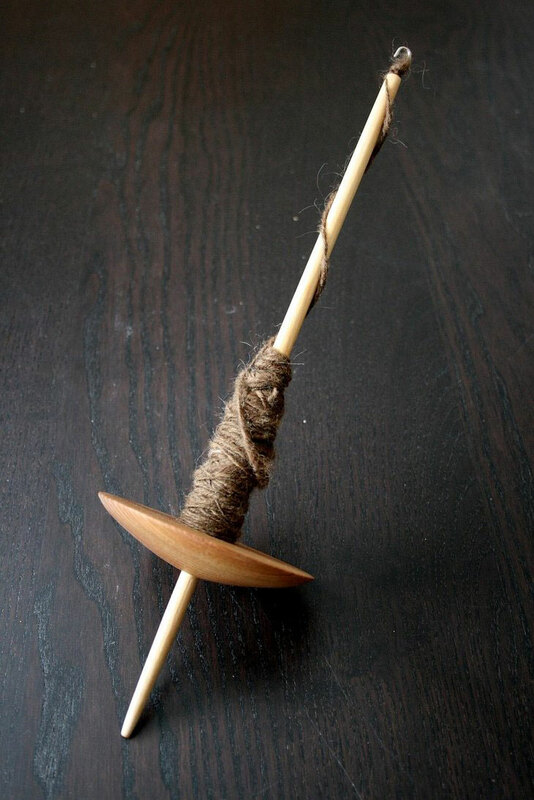 Distaff can be combined with a spindle which is been rotated by fingers, or it can be used with spinning wheel, which is kind of easier way of spinning fibres. 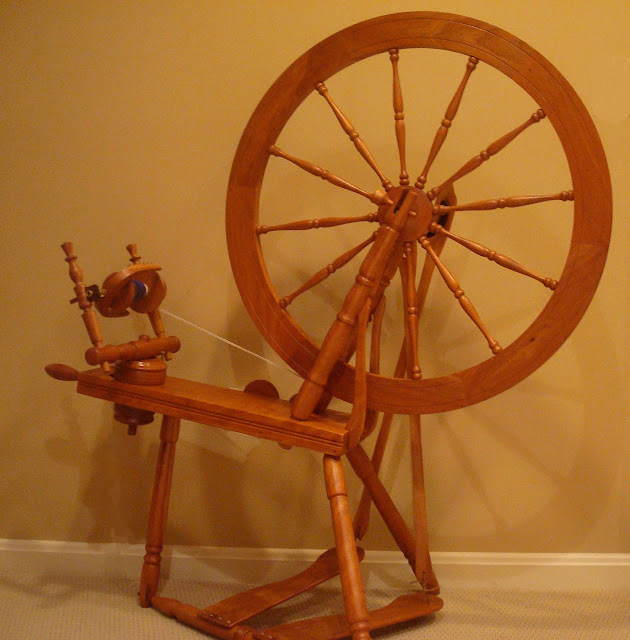 Anyway here are ten pictures of distaffs which will make you more familiar to the subject... of spinning. Picture of a barefoot girl spinning wool with distaff and spindle. If anyone ask, distaff and spinning wheel can be nice motif for a decoration item like this lamp. 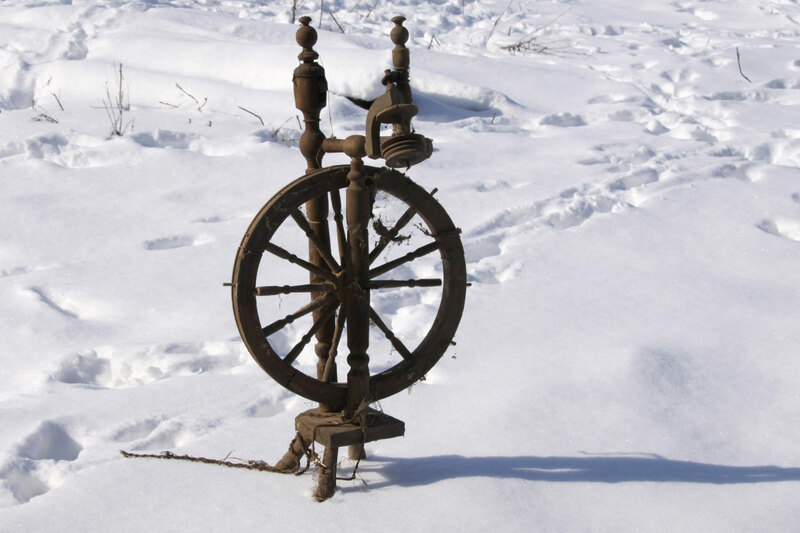 Spinning wheel in the snow. It is a small old example but with some minor effort and repairs it can still work. 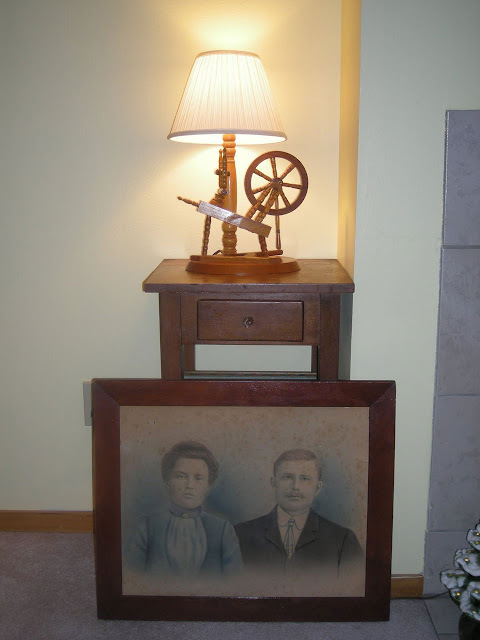 This is distaff in use. This photo says is all. 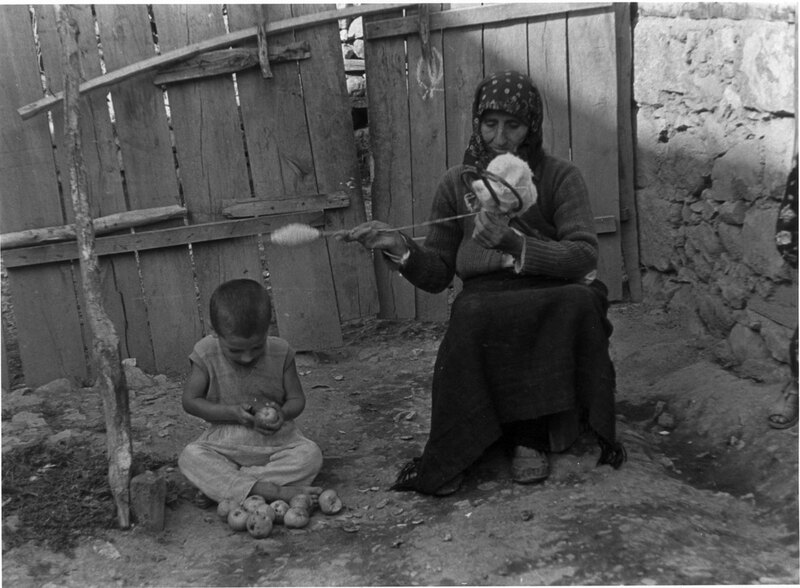 Granny spinning with little grandson next to her feet eating apples. 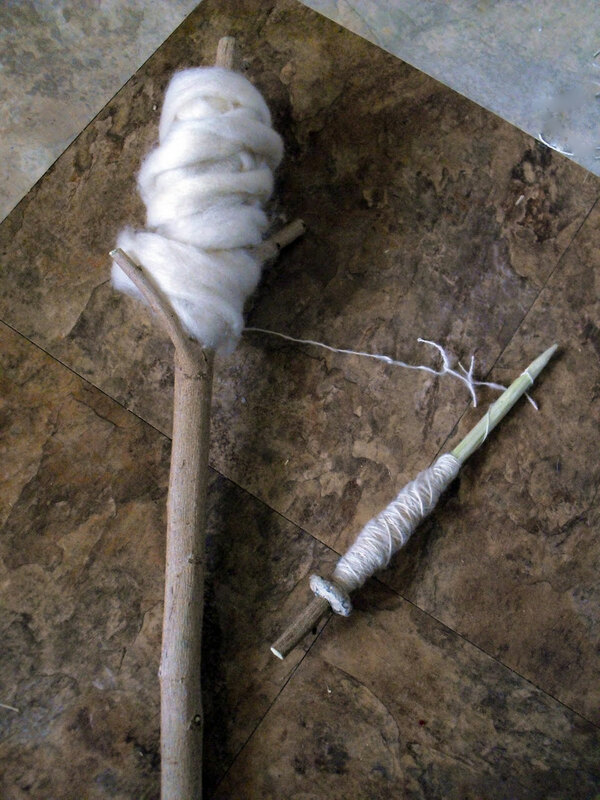 This is pretty raw version of distaff, simple branch can is used with also improvised spindle. It can not be simpler than this. 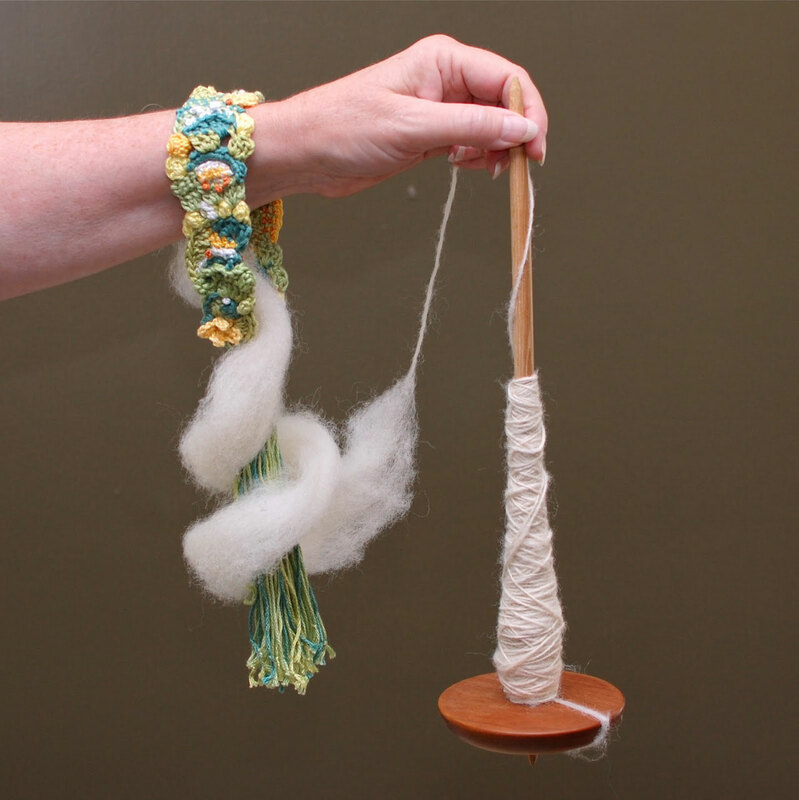 This is spindle, best friend of distaff. Wrist distaff!? I bet you didn't know that this exist! Ha! Interesting. 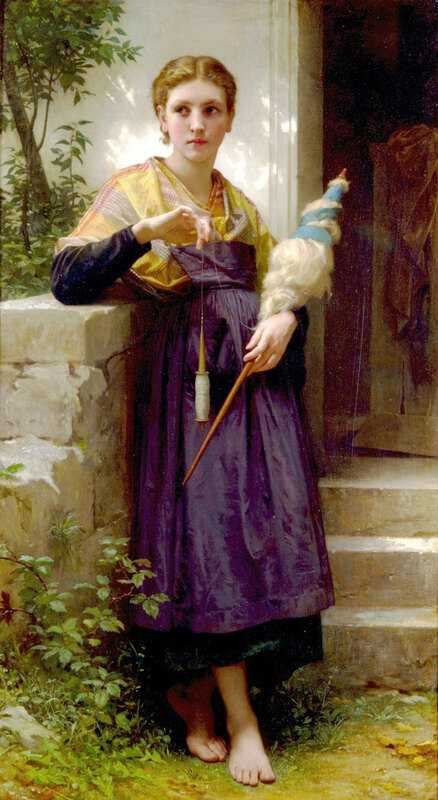 The only use of "distaff" I'd ever heard before was to describe the female side of the family. I suppose that definition arose from women usually having the job of being the spinners in the family. Wonderful pictures, by the way. Yes that is another meaning of the same word. Other explanation for this meaning could be that spindle is symbol of a man and distaff of a woman, or something like that.